Welcome to the SmartHomeBeginner smart home News Roundup 2017 Wk 37! This week saw Sprint and Vivint partner to expand smart home tech, Logitech compatibility with the Apple HomeKit, and Amazon Echo multi-room streaming. Read on for the latest in smart home news and updates! Apple's HomePod: What's in it for developers? The smart home space is a hot tech sphere. With companies such as TP-Link making the foray into smart home tech, the trend is clear that it's poised to continue growing. Now, Sprint and Vivint join forces to help consumers snag smart home devices in-store. As Digital Trends reports, this is another example of online services collaborating with brick-and-mortar stores. Spring will begin selling products from Vivint at almost 20 stores scattered throughout Ohio, Arizona, Utah, and Missouri. It's really refreshing to see such collaboration and integration in the smat home sector. Tech giant Logitech has begun using the Apple HomeKit to make its Circle 2 cameras more intelligent. Apple's Home app allows users to view live streams from cameras on Apple Devices. Moreover, the cams boast functionality such as acting as a trigger for HomeKit. For instance, you can configure these to sense motion and turn on a Philips Hue bulb. Sure, smart home gadgets may seem more like something younger audiences are adopting. But there's a thriving market for senior citizens as well. Recently, a $1.8 million grant funded a study concentrating on smart tech for senior living comminities. The National Institute on Nursing Research offered this five-year grant to Washington State University so that researchers may probe how tech might be able to minitor safety and health for seniors. Applications include motion detection to uncover patterns of movement throughout a living space. Then, anomolies in these patterns will trigger alerts for caregivers. It's a neat concept, and one that makes sense though it's less commonly considered when focusing on smart tech. The Google Home and Amazon Echo stand as two of the best smart assistants available. But a downside of the Echo was its inability of multi-room music streaming. Now, that changes. 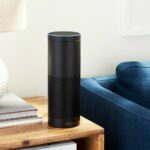 With this functionality, users can stream music to several Echo speakers in different rooms of a house. This truly elevates the Echo from a good device to a great one. While it's useful for a variety of applications, playing music is a primary feat. The Apple HomePod is one part smart speaker with a dash of virtual assistant. In this way, it competes with the Amazon Echo and Google Home. As TechJini Technology Strategist Robby Gupta explores, while its hardware and funcitonality may appear similar to the Home and Echo, the HomePod differs when it comes to development. The HomePod runs iOS just like an iPhone or iPad, albeit sans screen, unlike the Echo which is a smart speaker that sports third-party applications. Unique features like a Music API, Airplay 2 API, and the CoreML framework make this a true force to be reckoned with. Combined with its smart home triggering capablities, like pairing with HomeKit to turn on and off lights, as well as multimedia components like smart speaker and turning on or off a TV, the HomePod coule dominate as the next great smart home gadget. Did you find any interesting news stories or projects from around the smart home space? Share them with us in the comments section below!